Please provide the following information so FMS can create your account. FMS has the experience to turn your shipping operation into a streamlined business function. Freight Brokerage: Customer acknowledges that Freight Management Systems Inc. is a Freight Broker and NOT a Freight Carrier. Acting as a broker between the Customer and Carrier, Freight Management Systems Inc. provides access to carrier rates and carrier services. Freight Management Systems Inc. also ensures all carriers are properly licensed and bonded for all services they provide for the Customer. The Federal Government’s laws and regulations protect Freight Brokers from liability claims as a consequence of carrier service failures, loss of shipment, or damage to a shipment. The courts have upheld this position based on the fact that Freight Brokers are barred from accepting consignment (taking control) of freight – and– Customer consigns (signs over) their shipment directly to the carrier. 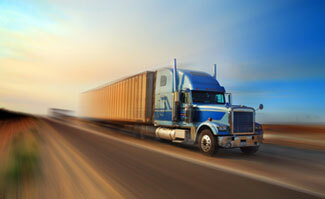 At no time does Freight Management Systems Inc. hold, handle, store or transport freight. Customer: You establish yourself as a Customer of Freight Management Systems Inc. by: using the ShipFMS.com’s website to shop and compare freight rates, registering and establishing an account with Freight Management Systems Inc., and/or arranging a shipment through Freight Management Systems Inc. either by phone, email or Shipfms.com. The Freight Carrier: is a dually licensed and registered company that provides the actual transportation of Customer’s shipment. The Freight Carrier(s) is/are subject to all state and federal laws and regulations applicable to the transportation of this shipment. Customer understands and agrees that the Freight Carrier(s) that transport the shipment(s) is/are exclusively responsible for the transportation and delivery of Customer’s shipment. Displayed Quotes and billed amounts may differ on occasion based on multiple factors. These factors may include but are not limited to the time of the quote vs the date of actual shipment, Fuel Service Charge adjustment, unforeseen or additional accessorial charges, regulatory changes, All shipments are quoted, rated, and booked based on information provided by you, the Customer. Note: Not included in the Quoted Rate are any non-carriage related expenses that may apply, including but not limited to: customs assessment’s, penalties, taxes, duties, tariffs, tolls, storage expenses, attorney fees, and legal costs allocable to this shipment and/or all disputes related to the shipment. Customer accepts full responsibility and liability for these expenses.